Android's had it easy. Microsoft hung on to Windows Mobile for far too long and still doesn't really do tablets; HP had to sell three TouchPads for a pound to shift its stock; and RIM's BlackBerry PlayBook adventures are like watching a slapstick comedy in painfully slow motion. That's just as well, because Android hasn't been perfect. If it were Windows, you'd walk into PC World and see PCs running Windows 3.0 and Windows Me next to Windows 7 and a couple of Vista machines. The UI still needs a bit of work, assuming you actually get the Android UI and not a manufacturer's interpretation of it. Malware's becoming a problem in the Market, developers aren't making big piles of money and it's not always clear when you buy Android kit how future-proof it'll be - if it's future-proof at all. The good news for Android is that so far, everybody else has been even worse. The bad news is that things are about to get a whole lot more difficult. For now, Android only really has one rival: Apple. Even then, it's proving a tough sell in the tablet space, with manufacturers shipping considerably more tablets than they're selling. That's not the only worry. Patent problems continue to dog the operating system, to the point where Android fan HTC is apparently considering buying its own OS and Microsoft is making more money from Android-related licensing than it is from Windows Phone. Google's acquisition of Motorola Mobility is bound to make OEMs twitch, too: on the one hand it could bolster Android against patent claims, but on the other it could mean that Google becomes a hardware rival. Daniel Ashdown, research analyst with Juniper Research, reckons Google isn't daft enough to jeopardise its relationship with Android OEMs. 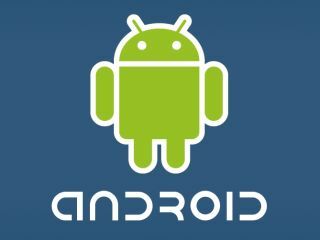 "Open source is the key for Android: vendors have flocked to it because of the cost reduction," he told Techradar. "We don't see them jeopardising these relationships. Patents are a key battleground at the moment, and Google has cited this as a motivating factor - and Motorola's portfolio is substantial." We asked industry analyst Gartner for its take on Android. Gartner says that Android's smartphone success is down to three key things: "It had the most attractive devices, strong momentum for its application marketplace, and quick platform evolution." However, Gartner also sees danger. "The fast pace of Google's OS updates, along with manufacturers diverging from core platforms to differentiate their products, is continuing to fragment the Android base." The Market is a worry, too, and Gartner reckons it needs quality control. "Google must address the lack of application testing before distribution in its application marketplace to achieve strong Android enterprise deployment," Gartner says. "Application marketplaces outside of Google based on Android have emerged, with the most important being the Amazon Appstore for Android." And then there's Windows 8. People know Windows, and the new Metro interface offers a combination of simplicity and style that makes it a genuine rival to, rather than a poor photocopy of, iOS. There's going to be a curated app store offering quality control and money for developers, and the same halo effect that saw iPods sell more Macs could see Windows 8 on PCs driving adoption of Windows Phone on tablets. Ironically, Windows 8 could teach Android a lesson about fragmentation: there's one OS for tablets and desktops alike, and Metro also appears on Windows Phones. Google, meanwhile, has three mobile OSes, Gingerbread, Honeycomb and Chrome, although Gingerbread and Honeycomb will merge with the release of Ice Cream Sandwich. In some respects, Chrome is a victim of Android's success. "Since [Chrome OS's] announcement in 2009, smartphone platforms have evolved to span the tablet form factor," Gartner says. "These have benefited from hardware acceleration and are sinking the netbook underpinnings of the Chrome OS value proposition. Google has not clearly differentiated Chrome OS from Android. In the long term, Google will be challenged to maintain both Chrome OS and Android." The smart move might be to kill Chrome altogether. Ashdown thinks that may be on the cards. "We've seen this hinted at by Google, and it is very likely that these two projects are on a convergence course," he says. "Cloud's still in its infancy, though, so the two will operate in tandem for a while yet."